Sneha Unnikrishnan malayalam actress profile, biography and upcoming movies are given here. Sneha Unnikrishnan is an upcoming actress in the Malayalam movie industry. She was the title winner in a reality show titled Midukki. She will be making debut in the movie industry by acting in a yet to be released movie Neeyum Pinne Njanum. The movie will feature her acting opposite to Jithin Raj who is also an upcoming artist and a reality show participant. Sneha Unnikrishnan is an upcoming South Indian actress. She is primarily concentrating on Malayalam language films. She will be making her debut in the movie industry by acting in the film 'Neeyum Pinne Njanum'. This film would be directed by Jojo K. Varghese. This film will be made in both Malayalam and Tamil languages. In this movie, she will be acting opposite to the newcomer Jithin Raj who is coincidentally another reality show winner. The film was made under the banner of Rose Movie Makers. She has also won the popular Malayalam reality show Midukki, which was broadcast in popular television channel Mazhavil Manorama. This popular TV channel belongs to the reputed Malayalam Manorama business group. Sneha Unnikrishnan had her formal education and schooling in a reputed school near her place of birth. After successfully completing her secondary school, she joined a junior college nearby to do her plus two course. During this period, she began to participate in various stage performances. According to her own words, she was interested in acting, right from her childhood. Later, she joined a reputed college nearby to do her graduation course. Even during her college days, she was active in various forums, showcasing her talents. She completed her degree course with flying colors. By then, she had her mind set on her childhood interest of acting. When she was waiting for a chance to gain entry into the world of glamour and movies, Sneha Unnikrishnan happened to participate in a reality show titled Midukki. At different stages in the reality show, she proved her mettle and marched forward. In all stages of the reality show, she was amongst top three performers. In the end, her hard work prevailed and she emerged successful. Towards the end of grand finale, she received the prize amount from the hands of noted and beautiful cine actress Kavya Madhavan. After some days, Sneha Unnikrishnan received a phone call from the director Jojo K. Varghese to tell her about an opportunity to work on his next movie. After receiving the call, she was on cloud nine and was elated at the prospect of getting a good role in an upcoming movie. Since it would be the best chance for Sneha to show her performance on the big screen, she was mentally prepared to receive the character in her mind. It is hoped that the director of the movie Jojo K. Varghese would be adding all his experience to deliver a visual treat for the movie lovers of the state. After the turn of comedians who gained access into the world of Malayalam cinema, the opportunities are now getting open for many reality show winners. The reason being the presence of some big weights from the film industry in these shows as panel judges. Since these reality shows are aimed at squeezing out the best in the participants, they are getting ample chances to show their talent on this platform. Moreover, the youngsters are not leaving any stone unturned. They are grasping whatever opportunities that come in their way. So, when they get the opportunities to showcase their talents, they come amply prepared for that and do their best before the audience. Because of this reason, these reality shows have become the launching pads for these talented youngsters. Sneha Unnikrishnan will be making her debut in the Malayalam movie industry with her acting in the movie Neeyum Pinne Njanum. In this movie, she will be romancing with her screen partner Jithin Raj. He is an upcoming actor in the Malayalam movie industry. He was the first runner up on a reality show titled Indian Voice. 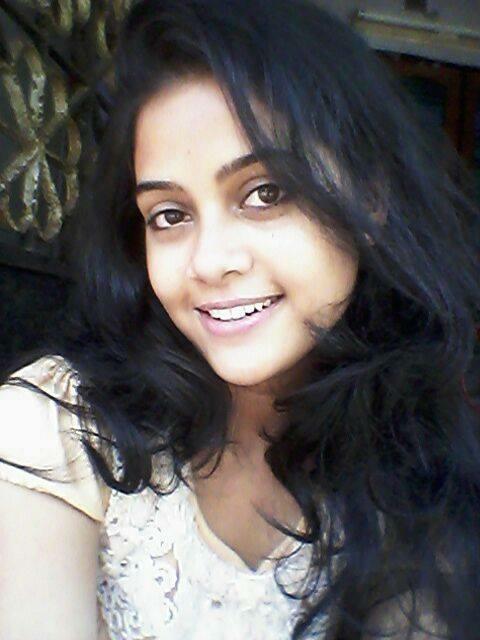 On the other hand, the debutante actress Sneha Unnikrishnan was the winner of the reality show Midukki. Coincidentally, both the artists are coming with rich experience in reality shows, and hence the expectations of their fans from them would be too high. Against this backdrop, they are donning the roles of the characters in the movie. When they act, there would be pressure on them to come out with flying colors in this project. This film was directed by Jojo K. Varghese. This film was produced under the banner of Rose Movie Makers. The film is based on the story of Jayaprakash Kaloor. The screenplay for this movie is written by Anil Kumar Thiruvothu. The first schedule of the film shooting has already been chalked out. Hence, the first leg of the movie has already commenced at comfortable locations in the state. The film is expected to hit the screen in the month of March in the year 2014. The plot of the movie is based on a couple of events that unfold in one night. The lead characters in the movie will become the players in the plot. The after effect of these events that happen around the hero of the movie then take the film to the next level of experience. The movie pools into a couple of dramatic events involving the lead characters. These events unfold in one eventful night. The aftermath of these events cause trauma in the mind of the hero of the movie. The reaction of the traumatized hero to these events take the movie to the next level. The director of the movie Jojo K. Varghese has shown guts by picking out the reality show participants as the lead characters in the movie. For the director, this will be the second attempt at film making. The director wanted to create an impact in the industry by experimenting with new plots and new artists. Hence, Sneha Unnikrishan wanted to do the best in the movie. She has already started taking the tips from the senior actors in the movie set at the shooting locations. Before making the directorial debut, he was working as an associate director with the ace film director of the Malayalam film industry Bhadran. According to the director, this movie has enough romantic substance to keep the audience glued to it. His maiden attempt at film making was when he directed the movie Ravanan. In the movie Ravanan, Kalabhavan Mani had enacted the lead role. Sneha Unnikrishnan is an upcoming actress in the South Indian movie industry. Initially, she would be concentrating only on Malayalam language films. She would be making her acting debut in the movie Neeyum Pinne Njanum. This film is expected to hit the screen in the month of March in the year 2014. The director of the movie is Jojo K. Varghese. This will be his second directorial venture. After having put in place its screenplay, the shooting of the movie is progressing well at designated locations. In the movie, she would be playing opposite to Jithin Raj. Earlier, the director worked under Bhadran as the associate director and learned the art of movie direction under him. The movie is based on the events that happen in a night and their aftermath. The debutante Sneha Unnikrishnan is busy learning the basic tenets of acting from the senior actors in the shooting location to make her debut eventful in the film world. Sneha earned this opportunity when she won a reality show by the name Midukki in Mazhavil Manorama television channel. Let us hope to see best from her in the movie when it hits the screen. The fans of Sneha are keeping their fingers crossed to see the movie hitting the screen on that eventful date.